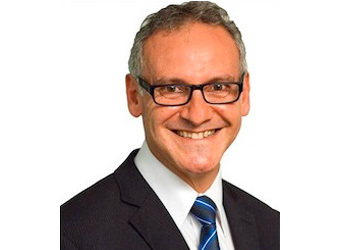 Telstra thought leader Rocky Scopelliti has warned of a significant data analytics knowledge gap in Asia Pacific’s financial services industry despite the region being forecast to overtake North America as the world’s largest wealth management market by 2015. Rocky Scopelliti’s new research report found only 68% of financial services organisations surveyed in APAC were ready and willing to compete on analytics. Titled ‘Analyse This Predict That’, the report follows six months of research including the study of 43 financial institutions across Australia, Indonesia, Hong Kong, Singapore and Malaysia. The report examines the major forces reshaping the competitive environment, demonstrates the changing strategies of the financial services industry, identifies consumer attitudes towards a range of interactions that data analytics can enable and presents a vision for the future of the financial services industry. “Digital technology has irrevocably changed how customers expect to engage financial services. Institutions from the 20th century that choose not to adapt, but to rely on what worked in the past, can expect to be comprehensively out-competed,” Scopelliti writes in the report. Analytics readiness: Only 32% of APAC financial institutions perceive themselves to be ready, or on the verge of ready, to compete using data analytical capability. Leadership priority: 83% of financial institutions reported that their chief executive officer and leadership team were committed to data analytics. Investment growth: Investment in financial technology tripled in the five years to 2013, outgrowing overall venture capital funding by a factor of four. Approximately US$1 in every US$3 focussed on ventures specialising in data analytics and personal finance management. Consumer perceptions: Companies in the financial services industry can alter the perceptions of APAC consumers by taking advantage of data and analytics and the experience these capabilities provide. Personalised experiences: Personalised experiences can drive retention and acquisition. For example, customers ranked a personalised digital banking experience in the top two most appealing concept in all Asian markets. In Australia, a digital advice concept with access to experts via video, chat and social media had the greatest retention factor, of 86%. New engagement: Analytics must enhance value and reinforce consumers’ trust in their financial institutions through a new customer engagement model. View the full report at Telstra’s website.